When Appalachia runs out of coal, how will its people replace their century-old mining economy? That was the question at hand at the Appalachia’s Bright Future conference in Harlan, Kentucky from April 19th to 21st. Harlan County is at the emotional heart of Eastern Kentucky, a region where coal mining has long been a way of life. 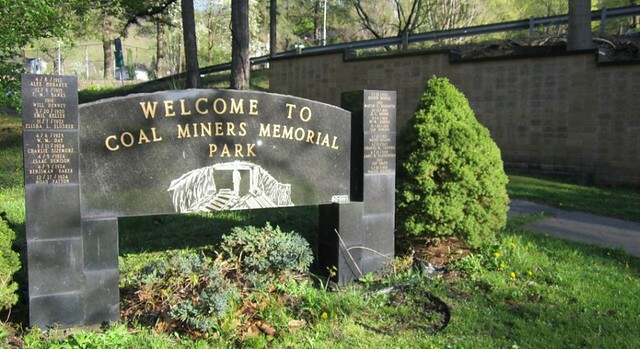 Appalachia has seen massive layoffs at its coalmines in the past year, and some research indicates that those jobs will never come back. The prescient question is: What else? A restaurant window in downtown Harlan, Kentucky. “I believe that our biggest challenge is imagining ourselves differently, and then believing that it’s worth it to change,” said Gerry Roll, Director of the Foundation for Appalachian Kentucky. Resource-rich regions often have problematic economies. The process of extracting a resource, like coal, blocks out all other industries, precluding the possibility of a diverse local economy. During a boom, the price per unit of coal is high. Miners and machines can barely it out of the ground fast enough to meet demand. The industry attracts all local labor. But the boom doesn’t last. Natural resources follow international boom/bust cycles. When the industry goes bust, it lays off many people. These people have nowhere close by to find a new job. Other industries don’t want to set up shop next door to a coal mine because they know they’ll loose their employees when coal booms. Furthermore, they need a skilled workforce. Coal mining is a precious skill, but not for every industry. Other industries are looking for many different skill sets. After a century of boom-bust cycles, Eastern Kentuckians identify with coal mining. People have raised families on mining salaries for generations. It’s dangerous work, and there is honor in it. 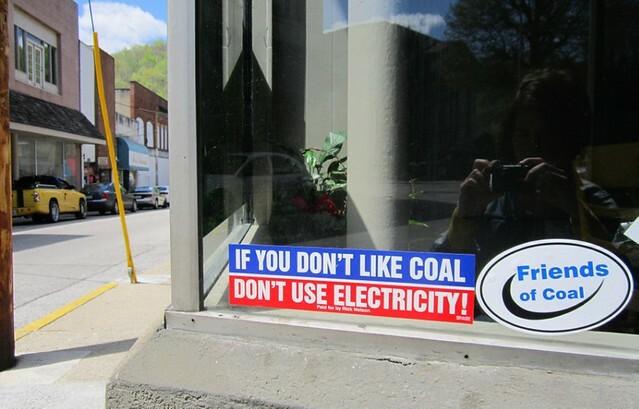 Coal provides electricity. Kentucky coal miners have long powered major American cities. 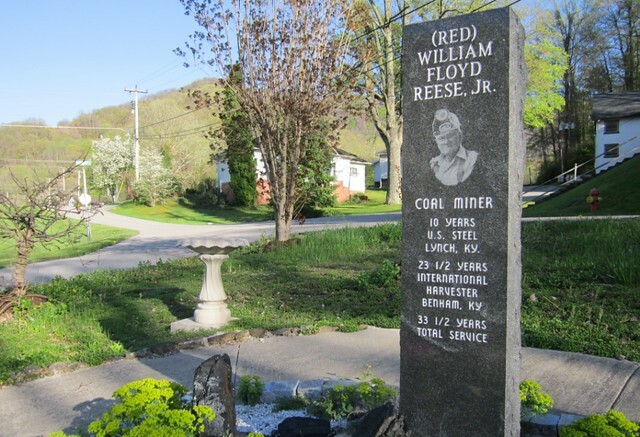 Below, three monuments to coal miners in Benham, a town of fewer than 500 people. But right now, Kentucky coal is bust. The U.S. Energy Information Administration predicts that Appalachian coal production will be on the decline until at least the year 2040. Other energy sources, such as natural gas, are competing with coal. Western states have stepped up coal production, and their coal is cheaper to extract. Much of the remaining Appalachian coal is buried quite deep, demanding expensive and destructive extraction techniques. 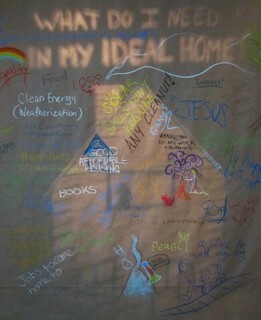 “What do I need in my ideal home?” Conference attendees wrote their answers in chalk over the projection. Through their questions, conference attendees effectively demanded an even more diverse set of ideas from within their own region. Deborah Pennington said: “I’m so excited, I can’t speak. I am bursting with energy.” Pennington ran a healthcare business in Louisville, but returned home to Rogers, Kentucky to retire. She was looking to get involved in something, and was overjoyed to find this. Many attendees wanted to welcome more coal miners, especially those closest to them, into this conversation about their region’s future. 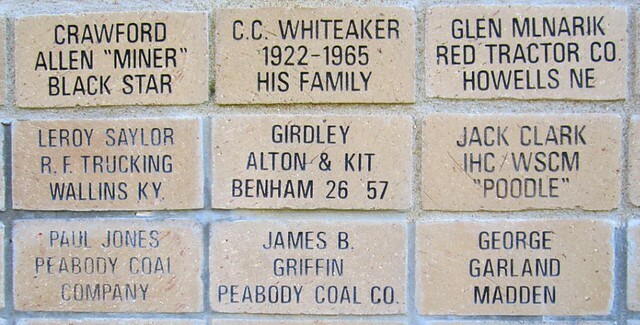 In Eastern Kentucky, nearly everyone seems to be the sibling, child, or best friend of a miner. Quieting the Crowd with Bluegrass by Anna Roberts-Gevalt of the Cowan Creek Mountain Music School. Swing and Turn Jubilee led by Anna Roberts-Gevalt of the Cowan Creek Mountain Music School. Check out Cowan Creek Music School for some kickin’ recordings at the bottom of their page. My half-broken iPhone recorder didn’t capture the music properly. Many cities and towns face drastic economic change. At the Appalachia’s Bright Future conference, guests from the United States and abroad came to tell their transition stories, good and bad. Mair and Hywel Frances of traveled from Wales, United Kingdom to explain what they did when their coal industry declined in the 1980′s. Hywel is a labor historian and current member of British Parliament. Mair founded Dove Workshop, a grassroots approach to adult education and business development, during their 1984 miner’s strike. In Wales, former mining communities built up their education system, nurtured new teachers from within their ranks, and developed relationships with sister communities throughout Europe to begin the process of bringing in new jobs. Brendan Smith, former cod-fisherman of New Foundland, Canada told the story of how generations of fisherman suffered the end of an industry they loved. Some fisherman, who had relished in their work providing food for their people, turned to alcohol when they couldn’t find meaningful work anymore. Other guests came with stories about farming in Southwest Virginia, water preservation on the Navajo (Dine) reservation in Arizona, and fisheries in the Pacific Northwest. 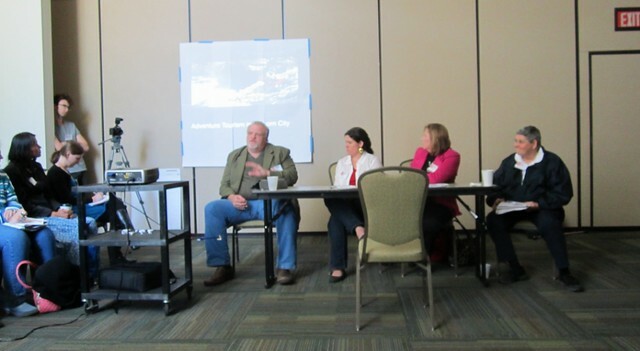 At a panel on community-based transition efforts, native Kentuckian Amelia Kirby explained what it’s been like to open Summit City Lounge in Whitesburg. She and her husband used to leave Whitesburg, a town of just over 2,000 people, most weekends to visit places where they could find live music and restaurants. Then they bought a building in downtown Whitesburg. They meant to use the building for their own office space, but after they peeled back layers of drywall and flooring, they found a beautiful interior. They knew they could make something more than an office. They decided to open a café that would have all of the things they had been seeking elsewhere on weekends. Kirby and her co-owner husband bring in musicians like Jason Isbell on Saturday nights, and offer a multi-generational open-mic on Wednesday nights. Art by local artists hangs on the café walls. Kirby put hummus on the menu. At first, people were skeptical. What is hummus? But now hummus is a popular dish. One of her favorite customers is a miner who comes in, dusty from his shift, and orders the hummus plate and a bud light. Panelists left to right: Tim Belcher (attorney and president of the Elkhorn City Heritage Council); Amelia Kirby (co-owner of Summit City Lounge in Whitesburg); Teresa Brown (small business coach in Carter County); Lori Garkovich (Professor of Community and Leadership Development at University of Kentucky). “We have many unsung leaders in this place, and people who don’t think of themselves as leaders, but are,” said Justin Maxson, President of the Mountain Association of Economic Development (MACED). MACED offers small business start up loans to local entrepreneurs. He told the story of one woman who recently taught herself cake-baking by watching videos on the Internet, and then opened a bakery. Appalachia’s Bright Future was swelling with hopeful initiatives like these in all sectors. Yet attendees were mindful of the tremendous obstacles before them: seemingly insurmountable unemployment numbers; drug addiction in the region; and the question of if and how their enthusiasm would make its way into the hearts of their neighbors. On Saturday evening, the Eastern Kentucky Social Club (EKSC) hosted an abundant dinner and several live music acts. 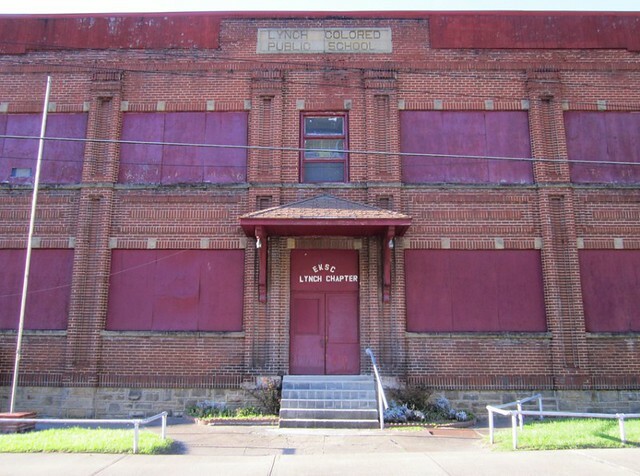 The Eastern Kentucky Social Club has made a community space and party venue inside the former Lynch, Kentucky Colored Public School. It was a gathering of optimists who’d just enjoyed an April Saturday in Appalachia, their favorite place in the world. Mount Sinai Spirituals sing on Saturday evening, April 20th. Hear some of the folks quoted in this post on West Virginia Public Broadcasting’s “Inside Appalachia” podcast. The story of the couple opening the music/cafe is huge. In these small towns there are so many opportunities for small businesses: daycares, restaurants, shops, etc. They are places where it’s easy to identify what’s missing but it takes a bit of capital to be able to take the risk and develop it yourself. With it’s abundance of natural beauty and outdoor recreation I think that Kentucky could do more to showcase its value as a tourist destination. I’m thinking of the small northern towns of Michigan that are centered around ice-fishing, snowmobiling, and cross country skiing in the winter and camping and boating in the summer. Linked to this is a community’s commitment to expanding and showcasing more cultural activities. I’m in a town in eastern Kentucky now that is struggling with this. There is a lot of potential but the will to make the town a more interesting place seems to fall flat. The towns that stay focused on this (like Berea Kentucky) have a stability around them because it will always be a cool place to live.